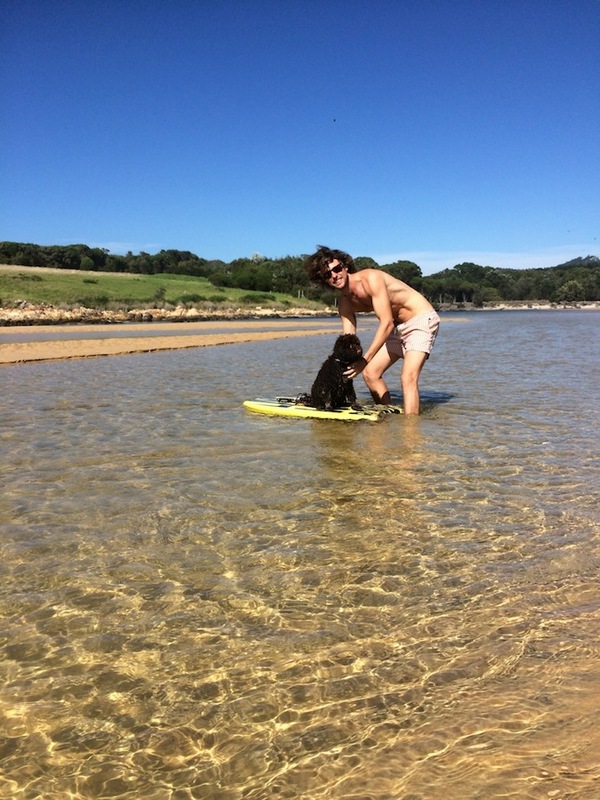 Throughout the summer I surf, sail, SUP (more on that later), windsurf, hike, stand on building sites, chase kids – it's all about sun and wind exposure. Just like we drink water after all this stuff, our skin needs care too, in fact we'd be mad not to. But that last thing I want is chemical, unethical or even – if I can help it – non-Australian skin care product. That’s where Sodashi comes in. Founded just over 15 years ago in Fremantle, Western Australia, Sodashi’s Megan Larsen takes a holistic approach to skin care, combining biochemistry, aromatherapy and Ayurvedic principles across the range. Under the type of intensity I put skin through, I tend to use their calming and nourishing products. They get me feeling new again each night and ready for the next day's adventures. The clay cleansers are really great - they go on smooth but soon turn into a mineral-filled lather that really washes the day away. Then a big dollop of Sleek Moisturiser – it truly rocks, especially after sun, salt and sweat! 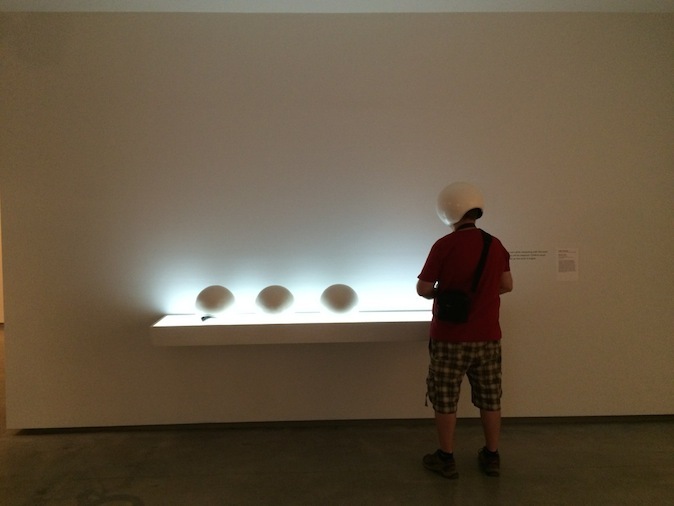 My current involvement in the Museum of Contemporary Art is focused on the MCA Foundation. The Foundation has now raised about $2mill since re-forming under the Chairmanship of MCA board member Ari Droga a couple of years ago. Being a Foundation Council member is one of my greatest joys. Not just because of the fund raising itself, but also because it’s a direct line into the minds of the curator’s – a thrilling way of keeping a finger on the fast-beating pulse of contemporary art here in Australia. For artists to survive and thrive they need their work bought, and the impact being purchased from an institution can have on an artist's career is mind blowing. The Foundation's funds go solely to this function so it's a real sweet spot! The most recently opened exhibition, Taking It All Away, curated by Natasha Bullock, shows a number of these recently-acquired works (all works are from the MCA's own collection). One of these is Stuart Ringholt's 'Untitled (Clock)’ of 2014 – a giant, contemporary grandfather clock, transparent from the back, beautifully crafted with a watchmaker's precision, however running 45 seconds to the minute. This piece really talks to our era in a number of ways and create a real uneasiness due to time appearing to run away even faster that it already does. Science has made of time such a finite thing, however it's extraordinary to see how we bend and play with it with our minds. For me, the cornerstone of the exhibition is Christian Capurro's 'Another Misspent Portrait of Etienne de Silhouette', an epic 5 year project! I was lucky enough to hear Christian talk about his work in a very intimate group. It didn't start as an artwork, not to his knowledge in any case. He took a copy of L'uomo Vogue with Sly Stallone on the cover and started handing around to friends, asking them to carefully and gently erase a page each using a rubber. There were period where the work went missing, people who were slow, didn't want to give it back... a real journey. However, in the end the work is a performative, collaborative, manifestation with a haunting quality due to the absence of what once was. This work was shown at the Venice Biennale, so we're very excited to have it as part of the MCA's collection. It should also be mentioned that there are 2 works of the very recently deceased Robert Hunter in the exhibition. These sublime works of 70s minimalism are so quiet upon first inspection however their intensity grows with time in a most extraordinary and powerful way. Robert died during the preparation of this show. Vale Robert Hunter. 2014, what a year that was! 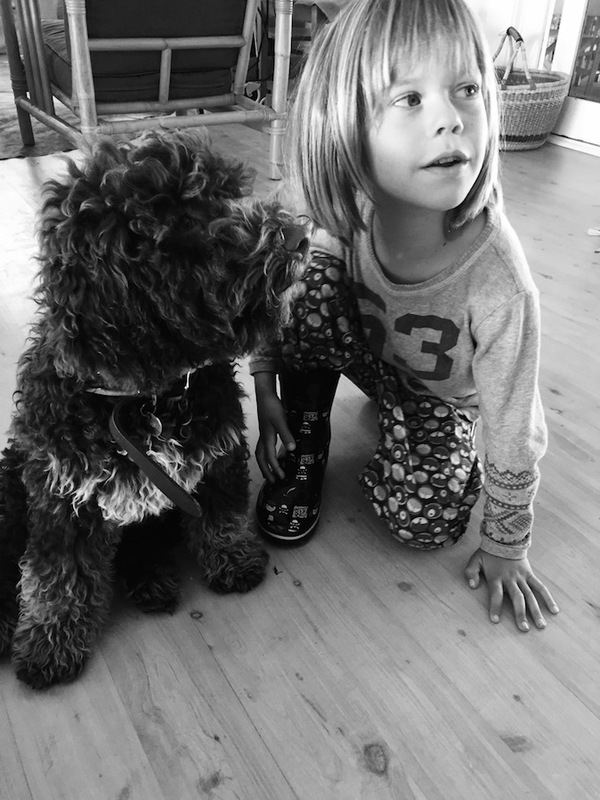 Tobias Partners will always be my baby, and last year the baby turned 15 – so not such a baby anymore! With that came rights of passage; bigger projects, more awards, new branding (the new logo, above and a new website), succession planning and promotion of long standing leaders in the practice, a great lineup of new talent in the studio, some impressive press... All this, plus the joy of re-connecting with many of our clients from the past 15 years, seeing how they are going with their homes, offices, shops, whatever it is we’ve designed for such a vast range of clients. It was a terrific thing to be able to look at our fifteen years past – and look forward to the many years ahead. 2015 is looking great! As always I'll be driving the broad creative vision as well as handling the majority of business development and marketing our attributes, while our team of Project Principals focus on delivering the goods supported by our awesome studio. We now have a Managing Principal who is just that, a manager for a group of creatives – a job I've done for 15 years but need to hand over so I can look forward and deliver our exciting future practice vision as well as my various other passions. Back in 1988, Philip Cox designed what was meant to be a temporary pavilion to represent Australia in the Giardini of Venice, during that year’s Biennale. Twenty-six years later, it’s finally ended its tenure and headed to a more permanent home on the Coldstream winery grounds belonging to art patron and restauranteur, Ronnie di Stasio. It’s done a terrific innings, and it’s great to see the structure getting a final resting place. 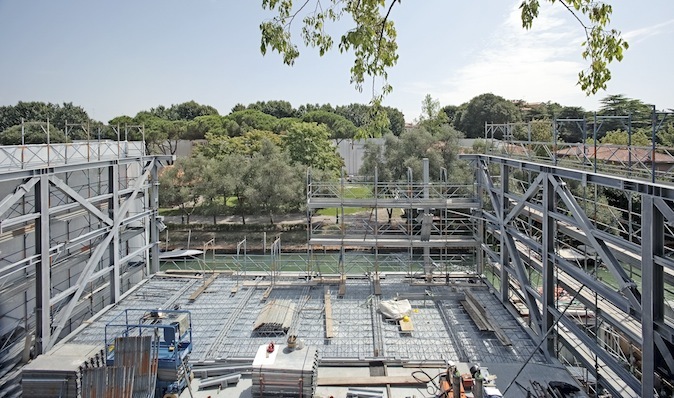 Even more exciting, though, is to see the construction of the permanent pavilion, designed by Denton Corker Marshall and on track to open on May 9th next year as part of the unveiling of the 2015 Biennale. 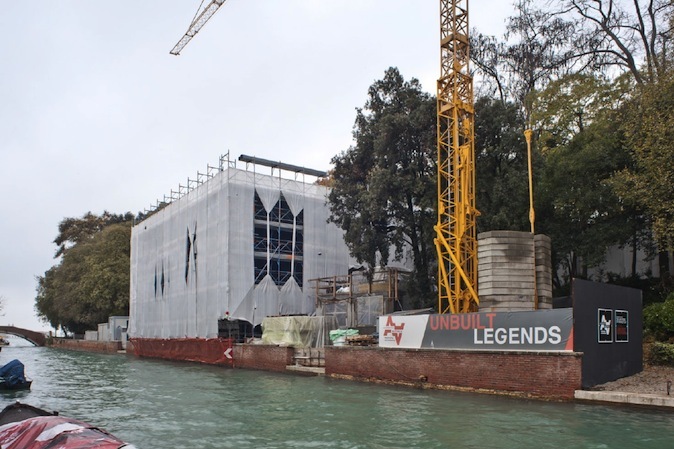 The DCM building will be the first 21st century building in the Giardini, and probably the most significant since Francois Pinault’s Fondazione opened in 2009 near the Santa Maria della Salute, designed by Tado Ando. Backing directly onto the canal that divides the main garden from the Venice Pavilion, it’s a majestic setting for a no less magnificent building. It’s a monolithic black box, the kind of thing Kubrick envisaged plonked down to earth in 2001, A Space Odyssey. And like Kubrick’s vision, this structure’s intriguingly otherworldly. It’s a great context in which to show our country’s greatest artists – and such a wonderful setting for 2015‘s artist, Fiona Hall, who is bold enough in every way to stand up to this rigorous setting. The 56th Biennale di Venezia, bring it on! The Big Boat Challenge is the curtain-raiser on the lead up to the Sydney-to-Hobart race, and I was lucky enough to be invited out among the super maxis as they flexed their muscles before the race to Hobart on Boxing Day. The Big Guys came out, all guns blazing – Bob Oatley’s 7-time Sydney-to-Hobart victor Wild Oats XI, the brand new American 100 footer Comanche (owned by the billionaire founder of Netscape, Jim Clark with his wife, model Kristy Hinze-Clark looking pretty spiffy on board, and skippered by Aussie Gold Medalist Tom Slingsby) and Anthony Bell’s Perpetual Loyal. I was aboard Andiamo, owned by Bob’s son Sandy Oatley, which had come down from its home birth at Hamilton Island for the occasion – it’s an incredibly slick jet powered tri-maran that just glides along at high speed – the ultimate spectator boat! The London Symphony Orchestra arguably the best in the world. The Sydney Opera House is one of the finest of its type, anywhere. When the two come together, it’s pure magic – as I found out the other night, when I went to witness LSO perform under the baton of legendary conductor, Valery Gergiev. The program was a very savvy ‘old meets new’ of Russian music, a cycle of Prokofiev and Stravinsky. Prokofiev’s First Symphony is a case study in masterly classicism, his Fifth, a more contemplative, grand geste affair. Wedging Stravinsky’s folk story, Petrushka between these two pillars of Russian orthodoxy was a stroke of sheer genius! Gergiev pushes the orchestra to the edge of their capacities. it’s breathtaking to watch – and almost exhausting to listen to. He squeezes the very essence of modernity out of his musicians, and the music. Extraordinary! Last year, my good friend and colleague Antonella Dedini launched the first Milan Design Film Festival. It totally went off, way beyond her – or I suspect any body else’s expectation! Antonella is a trained architect, but when I met her some years ago she was teaching at the very excellent Domus Academy in Milan. In fact, she often sent resumes of her best students for me to consider, one of which became an employee at TP for many years. When the Academy was sold few years ago Antonella saw it as a sign that the time had come to move on. Initially she moved back into private practice, but when she stumbled upon a documentary about architect Louis Kahn she had an epiphany: perhaps her new role on life should be to bring the beauty and complexities of design and architecture to a broader audience via the medium of video and film. she decided her time was up there - so she went back into private practice - a tough transition for a middle aged woman in Italy! But, she then a documentary on an architect (I think the one on Louis Kahn - but this should be a one of our questions) and saw the possibility of bringing important messages about architecture and design, but also life to the public through the medium of architecture and design documentaries. This year she and her team were prepared for the onslaught on design aficionados; they rented out the Anteo spazioCinema complex right in the heart of the hip Brera area and allocated 18.000 tickets for 4 screening rooms – that is, 660 full seats very hour! I’m thinking how amazing it would be to import this Film Festival to Sydney! In the meantime, here’s a recent email exchange I had with the wonderful Antonella Dedini. Architecture is such a physical experience, how does it translate onto film; what do we lose, what do we gain in terms of the experience? Video is the best medium to truly capture architecture. The audiovisual language is empathic, direct, immediate, and helps understand and memorize even more. We opened this edition of the Festival Wim Wenders’ 3D film project Cathedrals of Culture; six extraordinary episodes representing six buildings, cathedrals of culture in fact. In a sense, the film allows them to tell their own stories in the first person. How is the selection process organized; how do you find all these films? In this latest edition of the Festival, we selected 73 films from a total of at least 200. We are four curators. With me is my partner Silvia Robertazzi, journalist and design critic Portia Bergamasco and, as guest curator, this year we called the artist Letizia Cariello to bring a poetic regard to the selection. In a little more than a year we have built a network of national and international collaborators, of film makers, producers, festival and universities that help us every day to improve and spread our work around the world. This research is the most beautiful part of the work and now we can boast an excellent archive – and this year we introduced some really exciting new Italian films that we would like to take abroad for the dissemination of our design culture. In creating a relationship between architecture and design it is easier to understand the meaning of our everyday lives. What kind of people come to what would appear a quite specialized film festival. We always intended that the Festival was not only aimed at architects, planners, designers and landscapers, but in this latest edition half of the audience was made up of people from these fields. Then there were the people who were simply curious, who found in this visual language an empathetic, effective means to understand what is behind the world of design. We want the Milan Design Film Festival to become a flexible, honest, multiethnic, curious, stimulating and itinerant platform. "I was so excited when Nick asked me to attend the Tiffany T launch on his behalf. What girl doesn’t love Tiffany & Co? Held on the first floor of a four-storey Victorian building in Sydney’s CBD, it was a space I had never been to before– a hidden gem on Castlereagh Street. Located directly above signature greek restaurant, Alpha, the minimal space is layered with textures. The ceilings soared high and the room was stripped back to its bones, exposing original brick aches, concrete columns, beams and raw brick walls – a beautiful space respectful to its history. I walked in all smiles to a foyer filled with cocktails, champagne and chatter. Through the crowd the new pieces were elegantly arrayed on a series of simple white boxes placed in a long enfilade, ending up in front of the DJ’s booth. There were about five designs that were expressed as rings, bracelets, cuffs and necklaces. They came in gold, silver and of course a girl’s best friend – diamonds. Camera flashes went off when Francesca Amfitheatrof entered. Francesca is the first female design director for Tiffany & Co, since it was established in 1837. Not only is Francesca a pretty face, and oozing with style, she is a trained silversmith and jeweller and is absolutely lovely. She has quietly designed for Chanel, Fendi and Marni – but I think now she is at Tiffany & Co you will definitely be seeing her talent shine through, big time! Her launch ‘T’ collection is bold and sculptural, yet feminine and subtle. The letter ‘T’ was strongly reflected in all the pieces. The new line ticked all the boxes of what architects love: clean lines, beautiful detailing and forms that are modern that will remain classic. The highlight piece for me was the Tiffany ‘T’ chain necklace which could also double up as a wrapped bracelet and the ‘T’ wire rings – I could wear the sterling silver, gold and rose gold versions every day. This event was a perfect way to kick off the warmth of spring – Thanks Nick and Tiffany & Co."
Norway is amazing. Granted we had the best weather but it's amazing. It’s pristine, tranquil, the Norwegians hospitable – and the landscape just spectacular! It’s obviously a very wealthy country, its oil reserves and shipping industry being major drivers of that wealth. And yet, despite these mass industries, they are very sustainability focussed. They seem to have understood that they’ve been granted such an extraordinary privilege, their piece of earth and sea, that it would be criminal not to appreciate, respect and protect that privilege. It’s a lesson other countries – including my own – would do well to look, listen and learn. We did a driving trip, starting in Alesund driving along fjords and between islands on the most extraordinarily slick car ferries I’ve ever seen. Then along the unforgettable Atlantic road to the north of Haholmen, an archetypal fishing town on an island, now converted to small guest pavilions. From there, we headed to Norddal, where we stayed at Petrines farm and guest house http://www.petrines.com/ at the foot of mountains right on fjord. Totally charming – hiking, goat farms, glacier lake swimming (brrrr). Actually, forget ‘charming’, idyllic is what it is. Getting there was less charming, more nail-biting, but very cool – you need to travel the Trollstigen, the Troll Path from Haholmen to Petrines – but this valley is renowned for its strawberries, and quite rightly so; I’ve not tasted anything quite like them. Norway, an incredible place, beyond anything one might ever imagine. A land of archipelago, the Norwegians are incredibly good bridge builders. Many old fishing villages have been converted into boutique hotels and B&Bs. Ecologically conscious, many houses feature roof gardens for low-cost insulation and for eating. Glacier lake fishing. We caught nothing – not even a cold. The crooks and turns of the Trollstigen – or Troll Path – are reflected in this terrific iron and cement lookout pontoon. Kidding around (sorry, I couldn't help it). After so much nature and architecture and museums and so on, we decided that while in Denmark we’d give the boys a treat and take them to Legoland as a surprise. We even stayed in the Legoland hotel! The park was started in 1968, next door to the Lego factory by the founder of the empire, Ole Kirk Christiansen. Today it sprawls over 45 acres, filled with miniature villages and monuments and animated cartoon and film characters, all constructed from Lego. The park is perfectly scaled for kids – amazing but not overwhelming at all. I admit to being pleasantly surprised, it’s actually very beautiful – set in lovely gardens, even the landscapes accompanying the Lego installations were amazing, using bonsai instead of fake trees. Millions and millions of pieces of lego everywhere! And two very happy young boys. After a few nights in the wonderful city of Turin, we decided to head out and explore the Piedmonte region. Almost everywhere you look – over rambling hills and some of Italy’s most renowned vineyards of Barbaresco, Nebbiolo, Roero, Barbera, Dolcetto and Arneis – you see the Alps. Piedmonte, after all, means ‘at the foot of the mountains’. It’s breathtakingly beautiful and surprisingly tranquil. You don’t get the tourist crowds in Piedmonte, as you do in the more well-trodden Tuscany region. In the tiny town of Saluzzo, in the foothills of Monte Rosa, we stayed with friends in their family compound. They’re professionals by day, bon vivants by night. But in the mornings and evenings they’re health nuts – hiking, mountain biking, even skiing before they head off to work! It’s the real dolce vita, in the heart of some of the most naturally beautiful country I have ever seen. Then we headed on to the village of Il Pilone, again to stay with friends – this time in a ‘casale’, or country house surrounded by corn fields, renovated by his grandfather who was an engineer at Fiat’s nearby Lingotto factory, famous for its rooftop racetrack. Here they make their own honey (Miele del Pilone), and passata (Salsa di Maria Teresa – the house’s long time housekeeper). Il Pilone is a tranquil place, so for action we headed to surrounding medieval towns like Savigliano, Fossano and Cherasco. But for me, the stand out thing about Piedmonte is the hazelnuts – this is the home of Nutella, Ferrero Roche, and Gianduja, as well as a lot of smaller, independent nut farmers. I discovered a white version of Nutella by an indie producer, total heaven! But I think I’ll keep that one to myself. For the full bottle on Piedmonte go no further than my mother-in-law’s website – manuelafoodandtravel.com – and her book on the region called Autumn in Piedmonte published by Hardie Grant. Torino is an extraordinary city combining Italian beauty, Alpine proximity and easy access to the Mediterranean. The home of FIAT, Lancia and Alfa Romeo, it seems every one rides in style. It’s also the the hometown of Campari, Aperol, Martini Rosso & Bianco – so cocktail hour is almost unavoidable. The capital of the Piedmont region, it’s a small town (under one million inhabitants) but unlike many other regional towns, the youth has not fled for the bright lights of Rome or the fashion and glam of Milan. Largely, that’s because Torino hosts some of Italy’s finest universities and colleges. But I think the thing I find most charming about the place is that, as the home of the House of Savoy – Italy’s royal family and one of the oldest regal lines in the world, dating back to the year 1003 – there is an indelible elegance to the architecture. Less under the thumb of the Church, the city planning is civic-minded, the streets converging in elegant piazzi, roads lined with graceful galleries and arcades. After the buzz of the Venice Architecture Biennale (the debate around Rem Koolhaas’ radical Fundamentals show is really thrilling!) it felt time for a change of pace. So I decided to head back to the Dolomites, to the magical Cortina d’Ampezzo. This is the place the Pink Panther slinked about in the classic 1963 movie, and where Roger Moore (aka James Bond) slalomed away from the bad guys in For Your Eyes Only (1981). To me, it’s like an alpine Sardinia, so incredibly glamorous – it’s as if you’ve stepped into a Slim Aarons picture, but perhaps a little more health-consciously. High up, so far away from the crowds, ‘prana’ (the life force yogis have always felt is stronger at higher altitudes) comes into play, it’s palpable. Each breath feels monumental. Funnily enough, I even found a restaurant named after a place in Sardinia – Porto Rotondo – filled with these incredible photos of 1970s glam! The glam at these altitudes is all well and good, but what we really wanted to do – was hike! So me, Miranda and the boys began a daily regime of 3 to 6 hour walks at increasingly steep inclines. It’s so simple – you chat, soak up the landscape in, imbibe the pure alpine air, drink from pristine mountain streams. The worldly grind of daily life seems all of a sudden (in fact is!) so far away. We took our lunches at high mountain ‘rifugios’, rugged country stuff, incredibly honest fare. Doing this kind of thing is nourishing not just for the body, but for the mind, the soul. Of note is the Rifugio Senes, a restaurant and accommodation for hikers, at 7000 ft. We stayed a night there, a surreal – but oh so real experience! I can’t recommend it enough. To hike through these mountains which had been such a terrain of contestation between the Italians and the Austro-Hungarians in WWI, now so serene with eternal wild flowers and meandering streams, is sheer magic.